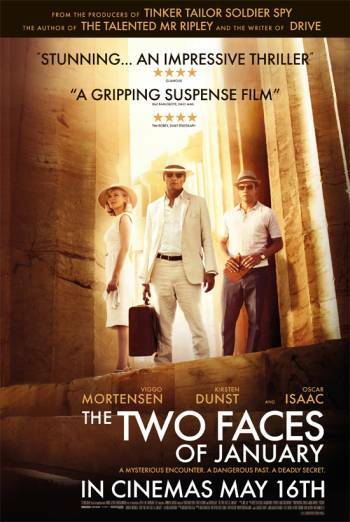 THE TWO FACES OF JANUARY is a thriller, set in Greece in 1962, following a husband and wife who are on the run from creditors. There are two uses of strong language ('f**k'), neither of which are aggressive or directed. In one scene, a man is shot in the back, resulting in brief sight of a bloody bullet impact. Other scenes include exchanges of punches, but very little injury detail is seen. There are a number of scenes showing cigarette smoking, reflecting the period in which the film is set.